Do you have a “neat freak” on your holiday shopping list? Or maybe someone you would like to see become better organized? Whether you are tired of never being able to find your digital device accessories, you would like to see your loved one be a bit more stylish with his or her collection of items, or you would like to inspire some neat freak tendencies this holiday season, we have just the organizational Christmas gifts you need! Grab a nice hot cup of coffee, and let’s see what we can find to help everyone get organized! Does your favorite techie have a never ending supply of cords, chargers and other digital device accessories? Then the Levenger Cord Roll is a must have this Christmas. 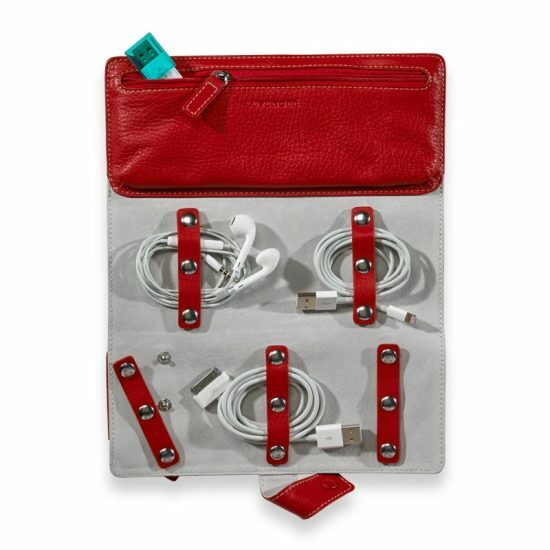 Featuring five snap straps to keep cords and earbuds safe and sound, and a removable zipper pouch that is perfect for storing extra memory cards, chargers and more, this organizational tool is simply genius! Since it is crafted from full-grain leather and available in black, red or grape, you can be sure it will look great alongside your recipient’s other favorite items this year. Buy it today at Levenger for just $99.00 and be sure to ask about gift wrapping to make sending to your loved one even easier. Do you have a high school or college student on your list? 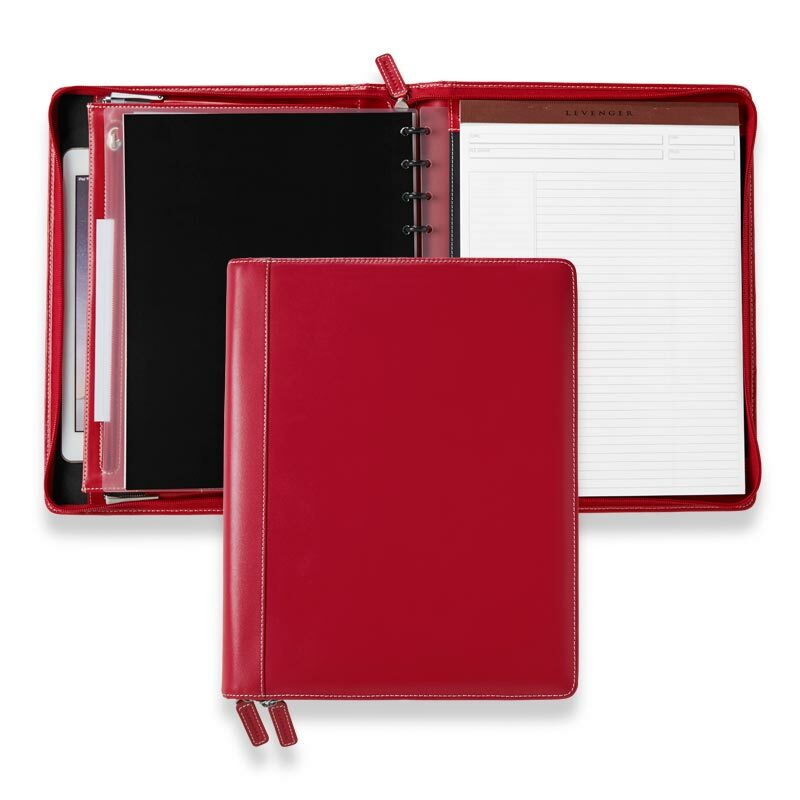 Make sure those assignments never get misplaced again with this Ambi-Flex Folio from Levenger. Crafted from smooth, full-grain leather for durability and style, this ambidextrous folio is a wonderful choice for those lefties on your list this Christmas. It’s available in red or black and your choice of junior or letter sized. It even includes 90 gsm paper so your favorite student can being using it right away. 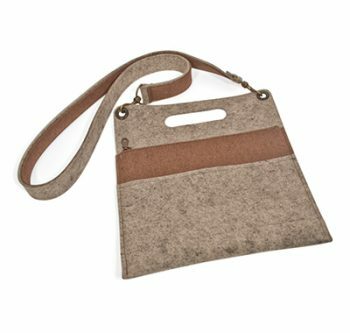 That lovely lady who is always on the go is sure to appreciate this Hunting Bag from The Felt Store this Christmas! Crafted from industrial felt, this cross-body bag emits that desert vibe we just can’t get enough of. With two pouches to keep all of her treasures safe, this stylish bag is durable enough to withstand almost anything life hands her for years to come. Priced at just $99.99, it’s a steal of a deal for that lucky lady in your life. 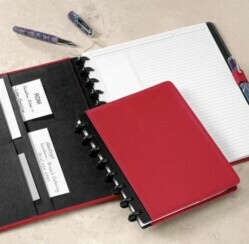 Are you ready to help your loved ones get organized this holiday season?